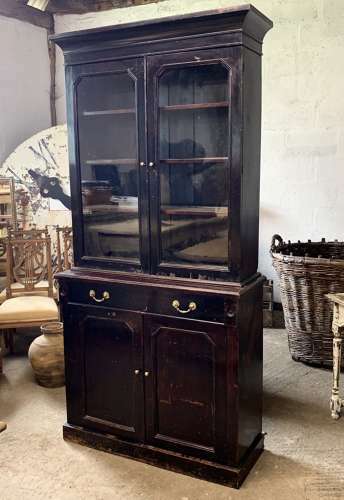 A lovely late Georgian black ebonised shop display cabinet which has spent its life in a Pharmacy. With original glass and handles. Showing age related wear in places.